I managed to get a few little crafty bits finished and listed for sale today! Did you know you can follow me by email? Sign up is at the top of the right sidebar. 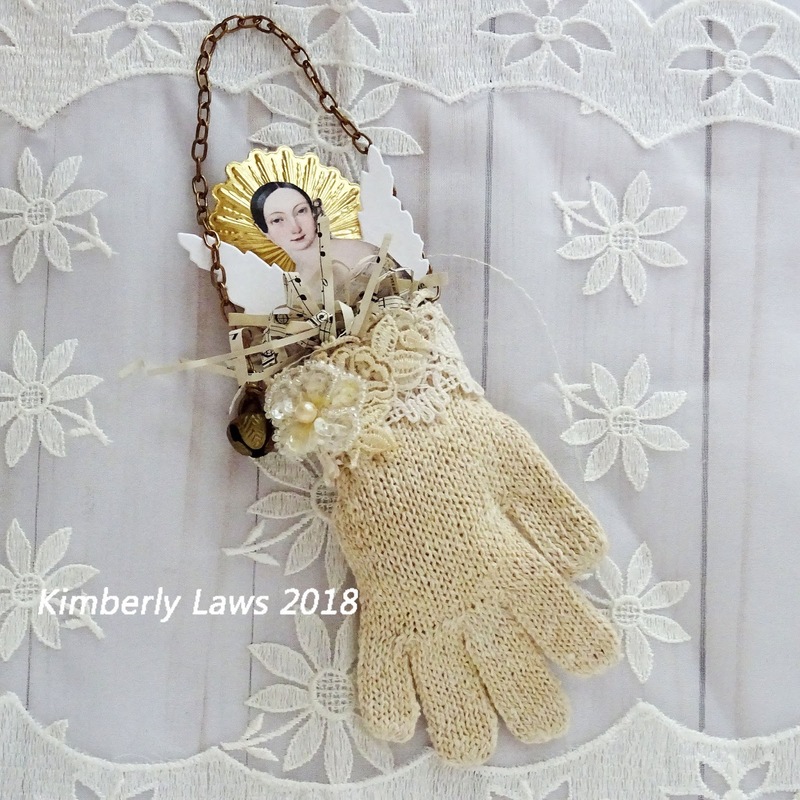 Oh you know I love your Christmas trees, they always comes out in December, and the little glove is wonderful, with the angel, too. That's why I follow you by email! These are beautiful Kim! I have to admit, I normally want nothing to do with the whole Christmas thing till after Thanksgiving, but this year, artists like yourself are inspiring me!